Marcus Aurelius Antoninus Augustus (26 April 121 – 17 March 180) was Roman emperor from 161 to his death in 180. He ruled with Lucius Verus as co-emperor from 161 until Lucius' death in 169. He was the last of the "Five Good Emperors", and is also considered one of the most important Stoic philosophers.His tenure was marked by wars in Asia against a revitalized Parthian Empire, and with Germanic tribes along the Limes Germanicus into Gaul and across the Danube. A revolt in the East, led by Avidius Cassius who previously fought under Lucius Verus against the Parthians, failed. Marcus Aurelius' work Meditations, written in Greek while on campaign between 170 and 180, is still revered as a literary monument to a government of service and duty. The major sources for the life and rule of Marcus Aurelius are patchy and frequently unreliable. The most important group of sources, the biographies contained in the Historia Augusta, claim to be written by a group of authors at the turn of the fourth century, but are in fact written by a single author (referred to here as "the biographer") from the later fourth century (c. 395). The later biographies and the biographies of subordinate emperors and usurpers are a tissue of lies and fiction, but the earlier biographies, derived primarily from now-lost earlier sources (Marius Maximus or Ignotus), are much better. For Marcus' life and rule, the biographies of Hadrian, Pius, Marcus and Lucius Verus are largely reliable, but those of Aelius Verus and Avidius Cassius are full of fiction. A body of correspondence between Marcus' tutor Fronto and various Antonine officials survives in a series of patchy manuscripts, covering the period from c. 138 to 166. Marcus' own Meditations offer a window on his inner life, but are largely undateable, and make few specific references to worldly affairs. The main narrative source for the period is Cassius Dio, a Greek senator from Bithynian Nicaea who wrote a history of Rome from its founding to 229 in eighty books. Dio is vital for the military history of the period, but his senatorial prejudices and strong opposition to imperial expansion obscure his perspective. Some other literary sources provide specific detail: the writings of the physician Galen on the habits of the Antonine elite, the orations of Aelius Aristides on the temper of the times, and the constitutions preserved in the Digest and Codex Justinianus on Marcus' legal work. Inscriptions and coin finds supplement the literary sources. Marcus' family originated in Ucubi, a small town southeast of Córdoba in Iberian Baetica. The family rose to prominence in the late first century AD. Marcus' great-grandfather Marcus Annius Verus (I) was a senator and (according to the Historia Augusta) ex-praetor; in 73–74 his grandfather Marcus Annius Verus was made a patrician. Verus' elder son—Marcus Aurelius' father—Marcus Annius Verus married Domitia Lucilla. Lucilla was the daughter of the patrician P. Calvisius Tullus Ruso and the elder Domitia Lucilla. The elder Domitia Lucilla had inherited a great fortune (described at length in one of Pliny's letters) from her maternal grandfather and her paternal grandfather by adoption. The younger Lucilla would acquire much of her mother's wealth, including a large brickworks on the outskirts of Rome—a profitable enterprise in an era when the city was experiencing a construction boom. Lucilla and Verus (III) had two children: a son, Marcus, born on 26 April 121, and Annia Cornificia Faustina, probably born in 122 or 123. Verus (III) probably died in 124, during his praetorship, when Marcus was only three years old. Though he can hardly have known him, Marcus Aurelius wrote in his Meditations that he had learned "modesty and manliness" from his memories of his father and from the man's posthumous reputation. Lucilla did not remarry. Lucilla, following prevailing aristocratic customs, probably did not spend much time with her son. Marcus was in the care of "nurses". Marcus credits his mother with teaching him "religious piety, simplicity in diet" and how to avoid "the ways of the rich". In his letters, Marcus makes frequent and affectionate reference to her; he was grateful that, "although she was fated to die young, yet she spent her last years with me". After his father's death, Aurelius was adopted by his paternal grandfather Marcus Annius Verus (II). Another man, L. Catilius Severus, also participated in his upbringing. Severus is described as Marcus' "maternal great-grandfather"; he is probably the stepfather of the elder Lucilla. Marcus was raised in his parents' home on the Caelian Hill , a district he would affectionately refer to as "my Caelian". It was a upscale region, with few public buildings but many aristocratic villas. Marcus' grandfather owned his own palace beside the Lateran , where Marcus would spend much of his childhood. Marcus thanks his grandfather for teaching him "good character and avoidance of bad temper". He was less fond of the mistress his grandfather took and lived with after the death of Rupilia Faustina, his wife. Marcus was grateful that he did not have to live with her longer than he did. Marcus was taught at home, in line with contemporary aristocratic trends; Marcus thanks Catilius Severus for encouraging him to avoid public schools. One of his teachers, Diognetus, a painting-master, proved particularly influential; he seems to have introduced Marcus to the philosophic way of life. In April 132, at the behest of Diognetus, Marcus took up the dress and habits of the philosopher: he studied while wearing a rough Greek cloak, and would sleep on the ground until his mother convinced him to sleep on a bed. A new set of tutors—Alexander of Cotiaeum, Trosius Aper, and Tuticius Proculus —took over Marcus' education in about 132 or 133. Little is known of the latter two (both teachers of Latin), but Alexander was a major littérateur, the leading Homeric scholar of his day. Marcus thanks Alexander for his training in literary styling. Alexander's influence—an emphasis on matter over style, on careful wording, with the occasional Homeric quotation—has been detected in Marcus' Meditations. According to the notoriusly unreliable Historia Augusta, he is the great-great-great-great-great-great-great grandson of Triumvir Pompey the Great through his daughter Pompeia Magna. His paternal grandmother Rupilia was the great granddaughter of Scribonia , who was herself the great granddaughter of Pompey the Great on both her parents side. This makes Marcus Aurelius and his son Commodus, the only Princeps to have been directly related to the son-in-law and rival of Triumvir Julius Caesar. In 127, at the age of six, Marcus was enrolled in the equestrian order on the recommendation of Emperor Hadrian. Though this was not completely unprecedented, and other children are known to have joined the order, Marcus was still unusually young. In 128, Marcus was enrolled in the priestly college of the Salii. Since the standard qualifications for the college were not met—Marcus did not have two living parents—they must have been waived by Hadrian, Marcus' nominator, as a special favor to the child. Hadrian had a strong affection for the child, and nicknamed him Verissimus, "most true".HA Marcus 1.10, 2.1; Birley, Marcus Aurelius, 38; "Hadrian to the Antonines", 147. The appellation also survives on inscriptions: Birley cites (at Marcus Aurelius, p. 270 n.24) Prosopographia Imperii Romani2 A 697, and L'Année épigraphique 1940.62. On the Salii, see: Birley, Marcus Aurelius, 36–37; McLynn, 18–19. Marcus took his religious duties seriously. He rose through the offices of the priesthood, becoming in turn the leader of the dance, the vates (prophet), and the master of the order. Hadrian did not see much of Marcus in his childhood. He spent most of his time outside Rome, on the frontier, or dealing with administrative and local affairs in the provinces. By 135, however, he had returned to Italy for good. He had grown close to Lucius Ceionius Commodus, husband of the daughter of Avidius Nigrinus, a dear friend of Hadrian who the emperor had killed early in his reign. In 136, shortly after Marcus assumed the toga virilis symbolizing his passage into manhood, Hadrian arranged for his engagement to one of Commodus' daughters, Fabia. Marcus was made prefect of the city during the feriae Latinae soon after (he was probably appointed by Commodus). Although the office held no real administrative significance—the full-time prefect remained in office during the festival—it remained a prestigious office for young aristocrats and members of the imperial family. Marcus conducted himself well at the job. Through Commodus, Marcus met Apollonius of Chalcedon, a Stoic philosopher. Apollonius had taught Commodus, and would be an enormous impact on Marcus, who would later study with him regularly. He is one of only three people Marcus thanks the gods for having met. At about this time, Marcus' younger sister, Annia Cornificia, married Ummidius Quadratus, her first cousin. Domitia Lucilla asked Marcus to give part of his father's inheritance to his sister. He agreed to give her all of it, content as he was with his grandfather's estate. In late 136, Hadrian almost died from a haemorrhage. Convalescent in his villa at Tivoli , he selected Lucius Ceionius Commodus as his successor, and adopted him as his son. The selection was done invitis omnibus, "against the wishes of everyone"; its rationale is still unclear. After a brief stationing on the Danube frontier, Lucius returned to Rome to make an address to the senate on the first day of 138. The night before the speech, however, he grew ill, and died of a haemorrhage later in the day. On 24 January 138, Hadrian selected Aurelius Antoninus as his new successor. After a few days' consideration, Antoninus accepted. He was adopted on 25 February. As part of Hadrian's terms, Antoninus adopted Marcus and Lucius Commodus, the son of Aelius. Marcus became M. Aelius Aurelius Verus; Lucius became L. Aelius Aurelius Commodus. At Hadrian's request, Antoninus' daughter Faustina was betrothed to Lucius. Marcus was appalled to learn that Hadrian had adopted him. Only with reluctance did he move from his mother's house on the Caelian to Hadrian's private home. At some time in 138, Hadrian requested in the senate that Marcus be exempt from the law barring him from becoming quaestor before his twenty-fourth birthday. The senate complied, and Marcus served under Antoninus, consul for 139. Marcus' adoption diverted him from the typical career path of his class. But for his adoption, he probably would have become triumvir monetalis, a highly regarded post involving token administration of the state mint; after that, he could have served as tribune with a legion, becoming the legion's nominal second-in-command. Marcus probably would have opted for travel and further education instead. As it was, Marcus was set apart from his fellow citizens. Nonetheless, his biographer attests that his character remained unaffected: "He still showed the same respect to his relations as he had when he was an ordinary citizen, and he was as thrifty and careful of his possessions as he had been when he lived in a private household." After a series of suicide attempts, all thwarted by Antoninus, Hadrian left for Baiae , a seaside resort on the Campanian coast. His condition did not improve, and he abandoned the diet prescribed by his doctors, indulging himself in food and drink. He sent for Antoninus, who was at his side when he died on 10 July 138. His remains were buried quietly at Puteoli . The succession to Antoninus was peaceful and stable: Antoninus kept Hadrian's nominees in office and appeased the senate, respecting its privileges and commuting the death sentences of men charged in Hadrian's last days. For his dutiful behavior, Antoninus was asked to accept the name "Pius". Pius bolstered Marcus' dignity: Marcus was made consul for 140, with Pius as his colleague, and was appointed as a seviri, one of the knights' six commanders, at the order's annual parade on 15 July 139. As the heir apparent, Marcus became princeps iuventutis, head of the equestrian order. He now took the name Caesar: Marcus Aelius Aurelius Verus Caesar. Marcus would later caution himself against taking the name too seriously: "See that you do not turn into a Caesar; do not be dipped into the purple dye—for that can happen". At the senate's request, Marcus joined all the priestly colleges (pontifices, augures, quindecimviri sacris faciundis, septemviri epulonum, etc. ); direct evidence for membership, however, is available only for the Arval Brethren. Pius demanded that Marcus take up residence in the House of Tiberius, the imperial palace on the Palatine. Pius also made him take up the habits of his new station, the aulicum fastigium or "pomp of the court", against Marcus' objections. Marcus would struggle to reconcile the life of the court with his philosophic yearnings. He told himself it was an attainable goal—"where life is possible, then it is possible to live the right life; life is possible in a palace, so it is possible to live the right life in a palace"—but he found it difficult nonetheless. He would criticize himself in the Meditations for "abusing court life" in front of company. As quaestor, Marcus would have had little real administrative work to do. He would read imperial letters to the senate when Pius was absent, and would do secretarial work for the senators. His duties as consul were more significant: one of two senior representatives of the senate, he would preside over meetings and take a major role in the body's administrative functions. He felt drowned in paperwork, and complained to his tutor, Fronto: "I am so out of breath from dictating nearly thirty letters". He was being "fitted for ruling the state", in the words of his biographer. He was required to make a speech to the assembled senators as well, making oratorical training essential for the job. On 1 January 145, Marcus was made consul a second time. He might have been unwell at this time: a letter from Fronto that might have been sent at this time urges Marcus to have plenty of sleep "so that you may come into the Senate with a good colour and read your speech with a strong voice". Marcus had complained of an illness in an earlier letter: "As far as my strength is concerned, I am beginning to get it back; and there is no trace of the pain in my chest. But that ulcer [...] I am having treatment and taking care not to do anything that interferes with it." Marcus was never particularly healthy or strong. The Roman historian Cassius Dio, writing of his later years, praised him for behaving dutifully in spite of his various illnesses. In April 145, Marcus married Faustina, as had been planned since 138. Since Marcus was, by adoption, Pius' son, under Roman law he was marrying his sister; Pius would have had to formally release one or the other from his paternal authority (his patria potestas) for the ceremony to take place. Little is specifically known of the ceremony, but it is said to have been "noteworthy". Coins were issued with the heads of the couple, and Pius, as Pontifex Maximus, would have officiated. Marcus makes no apparent reference to the marriage in his surviving letters, and only sparing references to Faustina. After taking the toga virilis in 136, Marcus probably began his training in oratory. He had three tutors in Greek, Aninus Macer, Caninius Celer, and Herodes Atticus, and one in Latin, Fronto. (Fronto and Atticus, however, probably did not become his tutors until his adoption by Antoninus in 138.) The preponderance of Greek tutors indicates the importance of the language to the aristocracy of Rome. This was the age of the Second Sophistic, a renaissance in Greek letters. Although educated in Rome, in his Meditations, Marcus would write his inmost thoughts in Greek. The latter two were the most esteemed orators of the day. Herodes was controversial: an enormously rich Athenian (probably the richest man in the eastern half of the empire), he was quick to anger, and resented by his fellow-Athenians for his patronizing manner. Atticus was an inveterate opponent of Stoicism and philosophic pretensions. He thought the Stoics' desire for a "lack of feeling" foolish: they would live a "sluggish, enervated life", he said. Marcus would become a Stoic. He would not mention Herodes at all in his Meditations, in spite of the fact that they would come into contact many times over the following decades. Fronto was highly esteemed: In the self-consciously antiquarian world of Latin letters, he was thought of as second only to Cicero, perhaps even an alternative to him. He did not care much for Herodes, though Marcus was eventually to put the pair on speaking terms. Fronto exercised a complete mastery of Latin, capable of tracing expressions through the literature, producing obscure synonyms, and challenging minor improprieties in word choice. A significant amount of the correspondence between Fronto and Marcus has survived. The pair were very close. "Farewell my Fronto, wherever you are, my most sweet love and delight. How is it between you and me? I love you and you are not here." Marcus spent time with Fronto's wife and daughter, both named Cratia, and they enjoyed light conversation. He wrote Fronto a letter on his birthday, claiming to love him as he loved himself, and calling on the gods to ensure that every word he learned of literature, he would learn "from the lips of Fronto". His prayers for Fronto's health were more than conventional, because Fronto was frequently ill; at times, he seems to be an almost constant invalid, always suffering—about one quarter of the surviving letters deal with the man's sicknesses. Marcus asks that Fronto's pain be inflicted on himself, "of my own accord with every kind of discomfort". Fronto never became Marcus' full-time teacher, and continued his career as an advocate. One notorious case brought him into conflict with Herodes. Marcus pleaded with Fronto, first with "advice", then as a "favor", not to attack Herodes; he had already asked Herodes to refrain from making the first blows. Fronto replied that he was surprised to discover Marcus counted Herodes as a friend (perhaps Herodes was not yet Marcus' tutor), allowed that Marcus might be correct, but nonetheless affirmed his intent to win the case by any means necessary: "...the charges are frightful and must be spoken of as frightful. Those in particular which refer to the beating and robbing I will describe in such a way that they savour of gall and bile. If I happen to call him an uneducated little Greek it will not mean war to the death." The outcome of the trial is unknown. By the age of twenty-five (between April 146 and April 147), Marcus had grown disaffected with his studies in jurisprudence, and showed some signs of general malaise. His master, he writes to Fronto, was an unpleasant blowhard, and had made "a hit at" him: "It is easy to sit yawning next to a judge, he says, but to be a judge is noble work." Marcus had grown tired of his exercises, of taking positions in imaginary debates. When he criticized the insincerity of conventional language, Fronto took to defend it. In any case, Marcus' formal education was now over. He had kept his teachers on good terms, following them devotedly. It "affected his health adversely", his biographer writes, to have devoted so much effort to his studies. It was the only thing the biographer could find fault with in Marcus' entire boyhood. Fronto had warned Marcus against the study of philosophy early on: "it is better never to have touched the teaching of philosophy...than to have tasted it superficially, with the edge of the lips, as the saying is". He disdained philosophy and philosophers, and looked down on Marcus' sessions with Apollonius of Chalcedon and others in this circle. Fronto put an uncharitable interpretation of Marcus' "conversion to philosophy": "in the fashion of the young, tired of boring work", Marcus had turned to philosophy to escape the constant exercises of oratorical training. Marcus kept in close touch with Fronto, but he would ignore his scruples. Apollonius may have introduced Marcus to Stoic philosophy, but Quintus Junius Rusticus would have the strongest influence on the boy. He was the man Fronto recognized as having "wooed Marcus away" from oratory. He was twenty years older than Marcus, older than Fronto. As the grandson of Arulenus Rusticus, one of the martyrs to the tyranny of Domitian (r. 81–96), he was heir to the tradition of "Stoic opposition" to the "bad emperors" of the first century; the true successor of Seneca (as opposed to Fronto, the false one). Marcus thanks Rusticus for teaching him "not to be led astray into enthusiasm for rhetoric, for writing on speculative themes, for discoursing on moralizing texts...To avoid oratory, poetry, and 'fine writing'". On 30 November 147, Faustina gave birth to a girl, named Domitia Faustina. It was the first of at least fourteen children (including two sets of twins) she would bear over the next twenty-three years. The next day, 1 December, Pius gave Marcus the tribunician power and the imperium—authority over the armies and provinces of the emperor. As tribune, Marcus had the right to bring one measure before the senate after the four Pius could introduce. His tribunican powers would be renewed, with Pius', on 10 December 147. The first mention of Domitia in Marcus' letters reveals her as a sickly infant. "Caesar to Fronto. If the gods are willing we seem to have a hope of recovery. The diarrhoea has stopped, the little attacks of fever have been driven away. But the emaciation is still extreme and there is still quite a bit of coughing." He and Faustina, Marcus wrote, had been "pretty occupied" with the girl's care. Domitia would die in 151. In 149, Faustina gave birth again, to twin sons. Contemporary coinage commemorates the event, with crossed cornucopiae beneath portrait busts of the two small boys, and the legend temporum felicitas, "the happiness of the times". They did not survive long. Before the end of the year, another family coin was issued: it shows only a tiny girl, Domitia Faustina, and one boy baby. Then another: the girl alone. The infants were buried in the Mausoleum of Hadrian , where their epitaphs survive. They were called Titus Aurelius Antoninus and Tiberius Aelius Aurelius. the wind scatters some on the face of the ground;like unto them are the children of men.– Iliad 6.146Another daughter was born on 7 March 150, Annia Aurelia Galeria Lucilla. At some time between 155 and 161, probably soon after 155, Marcus' mother, Domitia Lucilla, died. Faustina probably had another daughter in 151, but the child, Annia Galeria Aurelia Faustina, might not have been born until 153. Another son, Tiberius Aelius Antoninus, was born in 152. A coin issue celebrates fecunditati Augustae, "the Augusta's fertility", depicting two girls and an infant. The boy did not survive long; on coins from 156, only the two girls were depicted. He might have died in 152, the same year as Marcus' sister, Cornificia. A son was born in the late 150s. The synod of the temple of Dionysius at Smyrna sent Marcus a letter of congratulations. By 28 March 158, however, when Marcus replied, the child was dead. Marcus thanked the temple synod, "even though this turned out otherwise". The child's name is unknown. In 159 and 160, Faustina gave birth to daughters: Fadilla, after one of Faustina dead sisters, and Cornificia, after Marcus' dead sister. In 152, Lucius was named quaestor for 153, two years before the legal age of twenty-five (Marcus held the office at seventeen). In 154, he was consul, nine years before the legal age of thirty-two (Marcus held the office at eighteen and twenty-three). Lucius had no other titles, except that of "son of Augustus". Lucius had a markedly different personality than Marcus: he enjoyed sports of all kinds, but especially hunting and wrestling; he took obvious pleasure in the circus-games and gladiatorial fights. He did not marry until 164. Pius was not fond of his adopted son's interests. He would keep Lucius in the family, but he was sure never to give the boy either power or glory. To take a typical example, Lucius would not appear on Alexandrian coinage until 160/1. In 156, Pius turned seventy. He found it difficult to keep himself upright without stays. He started nibbling on dry bread to give him the strength to stay awake through his morning receptions. As Pius aged, Marcus would have taken on more administrative duties, more still when the praetorian prefect (an office that was as much secretarial as military) Gavius Maximus died in 156 or 157. In 160, Marcus and Lucius were designated joint consuls for the following year. Perhaps Pius was already ill; in any case, he died before the year was out. Two days before his death, the biographer records, Pius was at his ancestral estate in Lorium. He ate Alpine cheese at dinner quite greedily. In the night he vomited; he had a fever the next day. The day after that, he summoned the imperial council, and passed the state and his daughter to Marcus. He ordered that the golden statue of Fortune, which had been in the bedroom of the emperors, should go to Marcus' bedroom. Pius turned over, as if going to sleep, and died. It was 7 March 161. At the death of Antoninus Pius, Marcus was effectively sole ruler of the Empire. The formalities of the position would follow: The senate would soon grant him the name Augustus and the title imperator, and he would soon be formally elected as Pontifex Maximus, chief priest of the official cults. Marcus made some show of resistance: the biographer writes that he was "compelled" to take imperial power. This may have been a genuine horror imperii, "fear of imperial power". Marcus, with his preference for the philosophic life, found the imperial office unappealing. His training as a Stoic, however, had made the choice clear. It was his duty. Although Marcus shows no personal affection for Hadrian (significantly, he does not thank him in the first book of his Meditations), he presumably believed it his duty to enact the man's succession plans. Thus, although the senate planned to confirm Marcus alone, he refused to take office unless Lucius received equal powers. The senate accepted, granting Lucius the imperium, the tribunician power, and the name Augustus. Marcus became, in official titulature, Imperator Caesar Marcus Aurelius Antoninus Augustus; Lucius, forgoing his name Commodus and taking Marcus' family name, Verus, became Imperator Caesar Lucius Aurelius Verus Augustus. It was the first time that Rome was ruled by two emperors. In spite of their nominal equality, Marcus held more auctoritas, or "authority", than Lucius. He had been consul once more than Lucius, he had shared in Pius' administration, and he alone was Pontifex Maximus. It would have been clear to the public which emperor was the more senior. As the biographer wrote, "Verus obeyed Marcus...as a lieutenant obeys a proconsul or a governor obeys the emperor." Pius' funeral ceremonies were, in the words of the biographer, "elaborate". If his funeral followed the pattern of past funerals, his body would have been incinerated on a pyre at the Campus Martius, while his spirit would rise to the gods' home in the heavens. Marcus and Lucius nominated their father for deification. In contrast to their behavior during Pius' campaign to deify Hadrian, the senate did not oppose the emperors' wishes. A flamen, or cultic priest, was appointed to minister the cult of the deified Pius, now Divus Antoninus. Pius' remains were laid to rest in the Hadrian's mausoleum, beside the remains of Marcus' children and of Hadrian himself. The temple he had dedicated to his wife, Diva Faustina, became the Temple of Antoninus and Faustina . It survives as the church of San Lorenzo in Miranda. In accordance with his will, Pius' fortune passed on to Faustina. (Marcus had little need of his wife's fortune. Indeed, at his accession, Marcus transferred part of his mother's estate to his nephew, Ummius Quadratus.) Faustina was three months pregnant at her husband's accession. During the pregnancy she dreamed of giving birth to two serpents, one fiercer than the other. On 31 August she gave birth at Lanuvium to twins: T. Aurelius Fulvus Antoninus and Lucius Aurelius Commodus. Aside from the fact that the twins shared Caligula's birthday, the omens were favorable, and the astrologers drew positive horoscopes for the children. The births were celebrated on the imperial coinage. Soon after the emperors' accession, Marcus' eleven-year-old daughter, Annia Lucilla, was betrothed to Lucius (in spite of the fact that he was, formally, her uncle). At the ceremonies commemorating the event, new provisions were made for the support of poor children, along the lines of earlier imperial foundations. Marcus and Lucius proved popular with the people of Rome, who strongly approved of their civiliter ("lacking pomp") behavior. The emperors permitted free speech, evinced by the fact that the comedy writer Marullus was able to criticize them without suffering retribution. At any other time, under any other emperor, he would have been executed. But it was a peaceful time, a forgiving time. And thus, as the biographer wrote, "No one missed the lenient ways of Pius." Marcus replaced a number of the empire's major officials. The ab epistulis Sextus Caecilius Crescens Volusianus, in charge of the imperial correspondence, was replaced with Titus Varius Clemens. Clemens was from the frontier province of Pannonia and had served in the war in Mauretania. Recently, he had served as procurator of five provinces. He was a man suited for a time of military crisis. Lucius Volusius Maecianus, Marcus' former tutor, had been prefectural governor of Egypt at Marcus' accession. Maecianus was recalled, made senator, and appointed prefect of the treasury (aerarium Saturni). He was made consul soon after. Fronto's son-in-law, Aufidius Victorinus, was appointed governor of Upper Germany. Lucius was less esteemed by his tutor than his brother, as his interests were on a lower level. Lucius asked Fronto to adjudicate in a dispute he and his friend Calpurnius were having on the relative merits of two actors. Marcus told Fronto of his reading—Coelius and a little Cicero—and his family. His daughters were in Rome, with their great-great-aunt Matidia; Marcus thought the evening air of the country was too cold for them. He asked Fronto for "some particularly eloquent reading matter, something of your own, or Cato, or Cicero, or Sallust or Gracchus—or some poet, for I need distraction, especially in this kind of way, by reading something that will uplift and diffuse my pressing anxieties." Marcus' early reign proceeded smoothly. Marcus was able to give himself wholly to philosophy and the pursuit of popular affection. Soon, however, Marcus would find he had many anxieties. It would mean the end of the felicitas temporum ("happy times") that the coinage of 161 had so glibly proclaimed. In the spring of 162, the Tiber flooded over its banks, destroying much of Rome. It drowned many animals, leaving the city in famine. Marcus and Lucius gave the crisis their personal attention. In other times of famine, the emperors are said to have provided for the Italian communities out of the Roman granaries. Fronto's letters continued through Marcus' early reign. Fronto felt that, because of Marcus' prominence and public duties, lessons were more important now than they had ever been before. He believed Marcus was "beginning to feel the wish to be eloquent once more, in spite of having for a time lost interest in eloquence". Fronto would again remind his pupil of the tension between his role and his philosophic pretensions: "Suppose, Caesar, that you can attain to the wisdom of Cleanthes and Zeno, yet, against your will, not the philosopher's woolen cape." The early days of Marcus' reign were the happiest of Fronto's life: his pupil was beloved by the people of Rome, an excellent emperor, a fond pupil, and, perhaps most importantly, as eloquent as could be wished. Marcus had displayed rhetorical skill in his speech to the senate after an earthquake at Cyzicus. It had conveyed the drama of the disaster, and the senate had been awed: "not more suddenly or violently was the city stirred by the earthquake than the minds of your hearers by your speech". Fronto was hugely pleased. On his deathbed, Pius spoke of nothing but the state and the foreign kings who had wronged him. One of those kings, Vologases IV of Parthia, made his move in late summer or early autumn 161. Vologases entered the Kingdom of Armenia (then a Roman client state), expelled its king and installed his own—Pacorus, an Arsacid like himself. The governor of Cappadocia, the front-line in all Armenian conflicts, was Marcus Sedatius Severianus, a Gaul with much experience in military matters. 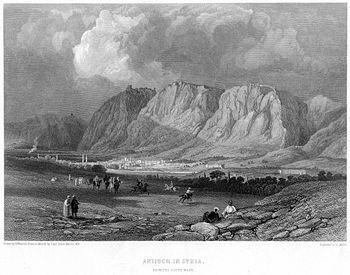 Convinced by the prophet Alexander of Abonutichus that he could defeat the Parthians easily, and win glory for himself, Severianus led a legion (perhaps the IX Hispana) into Armenia, but was trapped by the great Parthian general Chosrhoes at Elegia, a town just beyond the Cappadocian frontiers, high up past the headwaters of the Euphrates. Severianus made some attempt to fight Chosrhoes, but soon realized the futility of his campaign, and committed suicide. His legion was massacred. The campaign had only lasted three days. There was threat of war on other frontiers as well—in Britain, and in Raetia and Upper Germany, where the Chatti of the Taunus mountains had recently crossed over the limes. Marcus was unprepared. Pius seems to have given him no military experience; the biographer writes that Marcus spent the whole of Pius' twenty-three-year reign at his emperor's side—and not in the provinces, where most previous emperors had spent their early careers. More bad news arrived: the Syrian governor's army had been defeated by the Parthians, and retreated in disarray. Reinforcements were dispatched for the Parthian frontier. P. Julius Geminius Marcianus, an African senator commanding X Gemina at Vindobona (Vienna), left for Cappadocia with detachments from the Danubian legions. Three full legions were also sent east: I Minervia from Bonn in Upper Germany, II Adiutrix from Aquincum, and V Macedonica from Troesmis. The northern frontiers were strategically weakened; frontier governors were told to avoid conflict wherever possible. M. Annius Libo, Marcus' first cousin, was sent to replace the Syrian governor. He was young—his first consulship was in 161, so he was probably in his early thirties—and, as a mere patrician, lacked military experience. Marcus had chosen a reliable man rather than a talented one. Marcus took a four-day public holiday at Alsium , a resort town on the Etrurian coast. He was too anxious to relax. Writing to Fronto, he declared that he would not speak about his holiday. Fronto replied ironically: "What? Do I not know that you went to Alsium with the intention of devoting yourself to games, joking and complete leisure for four whole days?" He encouraged Marcus to rest, calling on the example of his predecessors (Pius had enjoyed exercise in the palaestra, fishing, and comedy), going so far as to write up a fable about the gods' division of the day between morning and evening—Marcus had apparently been spending most of his evenings on judicial matters instead of at leisure. Marcus could not take Fronto's advice. "I have duties hanging over me that can hardly be begged off," he wrote back. Marcus put on Fronto's voice to chastise himself: "'Much good has my advice done you', you will say!" He had rested, and would rest often, but "—this devotion to duty! Who knows better than you how demanding it is!" Fronto sent Marcus a selection of reading material, and, to settle his unease over the course of the Parthian war, a long and considered letter, full of historical references. In modern editions of Fronto's works, it is labeled De bello Parthico (On the Parthian War). There had been reverses in Rome's past, Fronto writes, but, in the end, Romans had always prevailed over their enemies: "always and everywhere [Mars] has changed our troubles into successes and our terrors into triumphs". Over the winter of 161–62, as more bad news arrived—a rebellion was brewing in Syria—it was decided that Lucius should direct the Parthian war in person. He was stronger and healthier than Marcus, the argument went, more suited to military activity. Lucius' biographer suggests ulterior motives: to restrain Lucius' debaucheries, to make him thrifty, to reform his morals by the terror of war, to realize that he was an emperor. Whatever the case, the senate gave its assent, and, in the summer of 162, Lucius left. Marcus would remain in Rome; the city "demanded the presence of an emperor". Lucius spent most of the campaign in Antioch, though he wintered at Laodicea and summered at Daphne, a resort just outside Antioch. Critics declaimed Lucius' luxurious lifestyle. He had taken to gambling, they said; he would "dice the whole night through". He enjoyed the company of actors. Libo died early in the war; perhaps Lucius had murdered him. In the middle of the war, perhaps in autumn 163 or early 164, Lucius made a trip to Ephesus to be married to Marcus' daughter Lucilla. Marcus moved up the date; perhaps he had already heard of Lucius' mistress, the low-born and beautiful Panthea. Lucilla's thirteenth birthday was in March 163; whatever the date of her marriage, she was not yet fifteen. Marcus had moved up the date: perhaps stories of Panthea had disturbed him. Lucilla was accompanied by her mother Faustina and M. Vettulenus Civica Barbarus, the half-brother of Lucius' father. Civica was made comes Augusti, "companion of the emperors"; perhaps Marcus wanted him to watch over Lucius, the job Libo had failed at. Marcus may have planned to accompany them all the way to Smyrna (the biographer says he told the senate he would); this did not happen. Marcus only accompanied the group as far as Brundisium, where they boarded a ship for the east. Marcus returned to Rome immediately thereafter, and sent out special instructions to his proconsuls not to give the group any official reception. The Armenian capital Artaxata was captured in 163. At the end of the year, Verus took the title Armeniacus, despite having never seen combat; Marcus declined to accept the title until the following year. When Lucius was hailed as imperator again, however, Marcus did not hesitate to take the Imperator II with him. Occupied Armenia was reconstructed on Roman terms. In 164, a new capital, Kaine Polis ('New City'), replaced Artaxata. A new king was installed: a Roman senator of consular rank and Arsacid descent, C. Iulius Sohaemus. He may not even have been crowned in Armenia; the ceremony may have taken place in Antioch, or even Ephesus. Sohaemus was hailed on the imperial coinage of 164 under the legend : Lucius sat on a throne with his staff while Sohamenus stood before him, saluting the emperor. In 163, the Parthians intervened in Osroene, a Roman client in upper Mesopotamia centered on Edessa, and installed their own king on its throne.Birley, Marcus Aurelius, 130, 279 n. 38; "Hadrian to the Antonines", 163, citing Prosopographia Imperii Romani2 M 169; Millar, Near East, 112. In response, Roman forces were moved downstream, to cross the Euphrates at a more southerly point. Before the end of 163, however, Roman forces had moved north to occupy Dausara and Nicephorium on the northern, Parthian bank. 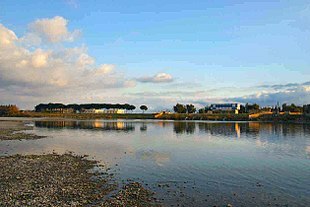 Soon after the conquest of the north bank of the Euphrates, other Roman forces moved on Osroene from Armenia, taking Anthemusia, a town south-west of Edessa. In 165, Roman forces moved on Mesopotamia. Edessa was re-occupied, and Mannus, the king deposed by the Parthians, was re-installed.Birley, "Hadrian to the Antonines", 163, citing Prosopographia Imperii Romani2 M 169. The Parthians retreated to Nisibis, but this too was besieged and captured. The Parthian army dispersed in the Tigris. A second force, under Avidius Cassius and the III Gallica, moved down the Euphrates, and fought a major battle at Dura. By the end of the year, Cassius' army had reached the twin metropolises of Mesopotamia: Seleucia on the right bank of the Tigris and Ctesiphon on the left. Ctesiphon was taken and its royal palace set to flame. The citizens of Seleucia, still largely Greek (the city had been commissioned and settled as a capital of the Seleucid empire, one of Alexander the Great's successor kingdoms), opened its gates to the invaders. The city got sacked nonetheless, leaving a black mark on Lucius' reputation. Excuses were sought, or invented: the official version had it that the Seleucids broke faith first. Cassius' army, although suffering from a shortage of supplies and the effects of a plague contracted in Seleucia, made it back to Roman territory safely. Lucius took the title Parthicus Maximus, and he and Marcus were hailed as imperatores again, earning the title 'imp. III'. Cassius' army returned to the field in 166, crossing over the Tigris into Media. Lucius took the title 'Medicus', and the emperors were again hailed as imperatores, becoming 'imp. IV' in imperial titulature. Marcus took the Parthicus Maximus now, after another tactful delay. Most of the credit for the war's success must be ascribed to subordinate generals, the most prominent of which was C. Avidius Cassius, commander of III Gallica, one of the Syrian legions. Cassius was young senator of low birth from the north Syrian town of Cyrrhus. His father, Heliodorus, had not been a senator, but was nonetheless a man of some standing: he had been Hadrian's ab epistulis, followed the emperor on his travels, and was prefect of Egypt at the end of Hadrian's reign. Cassius also, with no small sense of self-worth, claimed descent from the Seleucid kings.Birley, Marcus Aurelius, 130, citing Prosopographia Imperii Romani2 A 1402f. ; 1405; Astarita, passim; Syme, Bonner Historia-Augustia Colloquia 1984 (= Roman Papers IV (Oxford: Clarendon Press, 1988), ?). Cassius and his fellow commander in the war, Martius Verus, still probably in their mid-thirties, took the consulships for 166. After their consulships, they were made governors: Cassius, of Syria; Martius Verus, of Cappadocia. At Rome, Marcus was occupied with family matters. Matidia, his great-aunt, had died. Her will was invalid under the lex Falcidia: Matidia had assigned more than three-quarters of her estate to non-relatives; her clients had convinced her to include them in codicils to her will. Matidia had never confirmed the documents, but, as she lay unconscious, her clients had sealed them in with the original, making them valid. It was an embarrassing situation. Fronto urged Marcus to push the family's case; Marcus demurred. He was going to consult his brother, who would make the final call. On the return from the campaign, Lucius was awarded with a triumph; the parade was unusual because it included the two emperors, their sons and unmarried daughters as a big family celebration. Marcus Aurelius' two sons, Commodus five years old and Annius Verus of three, were elevated to the status of Caesar for the occasion. The returning army carried with them a plague, afterwards known as the Antonine Plague, or the Plague of Galen, which spread through the Roman Empire between 165 and 180. The disease was a pandemic believed to be either of smallpox or measles, and would ultimately claim the lives of two Roman emperors—Lucius Verus, who died in 169, and Marcus Aurelius, whose family name, Antoninus, was given to the epidemic. The disease broke out again nine years later, according to the Roman historian Dio Cassius, and caused up to 2,000 deaths a day at Rome, one quarter of those infected. Total deaths have been estimated at five million. A possible contact with Han China occurred in 166 when a Roman traveller visited the Han court, claiming to be an ambassador representing a certain Andun (Chinese: 安敦), who can be identified either with Marcus Aurelius or his predecessor Antoninus Pius. Like nearly all emperors, Marcus spent most of his time addressing petitions and hearing disputes—that is, on matters of law. Marcus took great care in the theory and practice of legislation. Professional jurists called him "an emperor most skilled in the law" and "a most prudent and conscientiously just emperor". He shows marked interest in three areas of the law: the manumission of slaves, the guardianship of orphans and minors, and the choice of city councillors (decuriones). During the early 160s, Fronto's son-in-law Victorinus was stationed as a legate in Germany. He was there with his wife and children (another child had stayed with Fronto and his wife in Rome). The condition on the northern frontier looked grave. A frontier post had been destroyed, and it looked like all the peoples of central and northern Europe were in turmoil. There was corruption among the officers: Victorinus had to ask for the resignation of a legionary legate who was taking bribes. Experienced governors had been replaced by friends and relatives of the imperial family. L. Dasumius Tullius Tuscus, a distant relative of Hadrian, was in Upper Pannonia, succeeding the experienced M. Nonius Macrinus. Lower Pannonia was under the obscure Ti. Haterius Saturnius. M. Servilius Fabianus Maximus was shuffled from Lower Moesia to Upper Moesia when Iallius Bassus had joined Lucius in Antioch. Lower Moesia was filled by Pontius Laelianus' son. The Dacias were still divided in three, governed by a praetorian senator and two procurators. The peace could not hold long; Lower Pannonia did not even have a legion. Starting in the 160s, Germanic tribes and other nomadic people launched raids along the Northern border, particularly into Gaul and across the Danube. This new impetus westwards was probably due to attacks from tribes farther east. A first invasion of the Chatti in the province of Germania Superior was repulsed in 162. Far more dangerous was the invasion of 166, when the Marcomanni of Bohemia, clients of the Roman Empire since 19, crossed the Danube together with the Lombards and other German tribes. At the same time, the Iranian Sarmatians attacked between the Danube and the Theiss rivers. Due to the situation in the East, only a punitive expedition could be launched in 167. Both Marcus and Verus led the troops. After the death of Verus (169), Marcus led personally the struggle against the Germans for the great part of his remaining life. The Romans suffered at least two serious defeats by the Quadi and Marcomanni, who could cross the Alps, ravage Opitergium (Oderzo ) and besiege Aquileia , the main Roman city of north-east Italy. At the same time the Costoboci, coming from the Carpathian area, invaded Moesia, Macedonia and Greece. After a long struggle, Marcus Aurelius managed to push back the invaders. Numerous Germans settled in frontier regions like Dacia, Pannonia, Germany and Italy itself. This was not a new thing, but this time the numbers of settlers required the creation of two new frontier provinces on the left shore of the Danube, Sarmatia and Marcomannia, including today's Bohemia and Hungary. The emperor's plans were, however, prevented by a revolt in East, led by Avidius Cassius, which was prompted by false news of the death of Marcus after an illness. Of the eastern provinces, only Cappadocia and Bithynia did not side with the rebels. When it became clear that Marcus Aurelius was still alive, Cassius' fortunes declined quickly and he was killed by his troops after only 100 days of power. Together with his wife Faustina, Marcus Aurelius toured the eastern provinces until 173. He visited Athens, declaring himself a protector of philosophy. After a triumph in Rome, the following year he marched again to the Danubian frontier. After a decisive victory in 178, the plan to annex Bohemia seemed poised for success but was abandoned after Marcus Aurelius again fell ill in 180. Marcus Aurelius died on 17 March 180, in the city of Vindobona (modern Vienna ), his son and successor Commodus accompanying him. He was immediately deified and his ashes were returned to Rome , and rested in Hadrian's mausoleum (modern Castel Sant'Angelo ) until the Visigoth sack of the city in 410. His campaigns against Germans and Sarmatians were also commemorated by a column and a temple built in Rome . Marcus Aurelius was able to secure the succession for Commodus, whom he had named Caesar in 166 and made co-emperor in 177, though the choice may have been unknowingly unfortunate. This decision, which put an end to the fortunate series of "adoptive emperors", was highly criticized by later historians since Commodus was a political and military outsider, as well as an extreme egotist with neurotic problems. For this reason, Marcus Aurelius' death is often held to have been the end of the Pax Romana. At the end of his history of Marcus' reign, Cassius Dio wrote an encomium to the emperor, and described the transition to Commodus, to Dio's own times, with sorrow. ...[Marcus] did not meet with the good fortune that he deserved, for he was not strong in body and was involved in a multitude of troubles throughout practically his entire reign. But for my part, I admire him all the more for this very reason, that amid unusual and extraordinary difficulties he both survived himself and preserved the empire. Just one thing prevented him from being completely happy, namely, that after rearing and educating his person in the best possible way he was vastly disappointed in him. It is possible that he chose Commodus simply in the absence of other candidates, or as a result of the fear of succession issues and the possibility of civil war. Michael Grant, in The Climax of Rome (1968), writes of Commodus: "The youth turned out to be very erratic or at least so anti-traditional that disaster was inevitable. But whether or not Marcus ought to have known this to be so, the rejections of his son's claims in favour of someone else would almost certainly involved one of the civil wars which were to proliferate so disastrous around future successions." Marcus Aurelius took on the reputation of a philosopher king within his lifetime, and the title would remain his after death; both Dio and the biographer call him "the philosopher". Christians—Justin Martyr, Athenagoras, Melito—gave him the title too. The last named went so far as to call Marcus "more philantrophic and philosophic" than Pius and Hadrian, and set him against the persecuting and philosophy-hating Emperors Domitian and Nero to make the contrast bolder. While on campaign between 170 and 180, Aurelius wrote his Meditations in Greek as a source for his own guidance and self-improvement. He had been a priest at the sacrificial altars of Roman service and was an eager patriot. He had a logical mind and his notes were representative of Stoic philosophy and spirituality. Meditations is still revered as a literary monument to a government of service and duty. The book has been a favourite of Frederick the Great, John Stuart Mill, Matthew Arnold, Goethe and Wen Jiabao. It is not known how far Marcus' writings were circulated after his death. There are stray references in the ancient literature to the popularity of his precepts, and Julian the Apostate was well aware of Marcus' reputation as a philosopher, though he does not specifically mention the Meditations. The book itself, though mentioned in correspondence by Arethas of Caesarea in the 10th century and in the Byzantine Suda, was first published in 1558 in Zurich by Wilhelm Holzmann, from a manuscript copy that is now lost. The only other surviving complete copy of the manuscript is in the Vatican library . Marcus Aurelius appears as a minor character and is mentioned extensively in Marius the Epicurean by Walter Pater. Birley, Marcus Aurelius, 229–30. The thesis of single authorship was first proposed in H. Dessau's "Über Zeit und Persönlichkeit der Scriptoes Historiae Augustae" (in German), Hermes 24 (1889), 337ff. Birley, Marcus Aurelius, 230. On the HA Verus, see Barnes, 65–74. Mary Beard, " Was He Quite Ordinary? ", London Review of Books 31:14 (23 July 2009), accessed 15 September 2009; Birley, Marcus Aurelius, 226. Birley, Marcus Aurelius, 228–29, 253. HA Marcus 1.2, 1.4; Birley, Marcus Aurelius, 28; McLynn, 14. Birley, Marcus Aurelius, 29; McLynn, 14. Birley, Marcus Aurelius, 29, citing Pliny, Epistulae 8.18. Birley, Marcus Aurelius, 31, 44. Meditations 1.1, qtd. and tr. Birley, Marcus Aurelius, 31. HA Marcus 2.1 and Meditations 5.4, qtd. in Birley, Marcus Aurelius, 32. Meditations 1.3, qtd. in Birley, Marcus Aurelius, 35. Meditations 1.17.7, qtd. and tr. Birley, Marcus Aurelius, 35. Ad Marcum Caesarem 2.8.2 (= Haines 1.142), qtd. and tr. Birley, Marcus Aurelius, 31. Meditations 1.1, qtd. and tr. Birley, Marcus Aurelius, 35. Meditations 1.17.2; Farquharson, 1.102; McLynn, 23; cf. Meditations 1.17.11; Farquharson, 1.103. HA Marcus 2.2, 4.9; Meditations 1.3; Birley, Marcus Aurelius, 37; McLynn, 21–22. HA Marcus 2.6; Birley, Marcus Aurelius, 38; McLynn, 21. HA Marcus 2.3; Birley, Marcus Aurelius, 40, 270 n.27. Birley, Marcus Aurelius, 40, citing Aelius Aristides, Oratio 32 K; McLynn, 21. Meditations 1.10; Birley, Marcus Aurelius, 40; McLynn, 22. Birley, Marcus Aurelius, 40, 270 n.28, citing A.S.L. Farquharson, The Meditations of Marcus Antoninus (Oxford, 1944) 2.453. HA Marcus 4.1, 4.2; Birley, Marcus Aurelius, 36. HA Marcus 4.4; Birley, Marcus Aurelius, 37; McLynn, 19. HA Marcus 4.5; Birley, Marcus Aurelius, 39–40; McLynn, 24–25; R. Syme, "The Ummidii", Historia 17:1 (1968): 93–94. HA Marcus 4.6; Birley, Marcus Aurelius, 41. HA Marcus 4.7; Birley, Marcus Aurelius, 41. HA Hadrian 23.10, qtd. in Birley, Marcus Aurelius, 42. Birley, Marcus Aurelius, 42. On the succession to Hadrian, see also: T.D. Barnes, "Hadrian and Lucius Verus", Journal of Roman Studies 57:1–2 (1967): 65–79; J. VanderLeest, "Hadrian, Lucius Verus, and the Arco di Portogallo", Phoenix 49:4 (1995): 319–30. HA Hadrian 23.15–16; Birley, Marcus Aurelius, 45; "Hadrian to the Antonines", 148. Birley, Marcus Aurelius, 46. Date: Birley, "Hadrian to the Antonines", 148. Dio 69.21.1; HA Hadrian 24.1; HA Aelius 6.9; HA Pius 4.6–7; Birley, Marcus Aurelius, 48–49. HA Marcus 5.3; Birley, Marcus Aurelius, 49. HA Marcus 5.6–8, qtd. and tr. Birley, Marcus Aurelius, 50. Dio 69.22.4; HA Hadrian 25.5–6; Birley, Marcus Aurelius, 50–51. Hadrian's suicide attempts: Dio 69.22.1–4; HA Hadrian 24.8–13. HA Hadrian 25.7; Birley, Marcus Aurelius, 53. HA Pius 5.3, 6.3; Birley, Marcus Aurelius, 55–56; "Hadrian to the Antonines", 151. Birley, Marcus Aurelius, 55; "Hadrian to the Antonines", 151. HA Marcus 6.2; Verus 2.3–4; Birley, Marcus Aurelius, 53–54. Dio 71.35.5; HA Marcus 6.3; Birley, Marcus Aurelius, 56. Meditations 6.30, qtd. and tr. Birley, Marcus Aurelius, 57; cf. Marcus Aurelius, 270 n.9, with notes on the translation. HA Marcus 6.3; Birley, Marcus Aurelius, 57. Birley, Marcus Aurelius, 57, 272 n.10, citing Codex Inscriptionum Latinarum 6.32, 6.379, cf. Inscriptiones Latinae Selectae 360. Meditations 5.16, qtd. and tr. Birley, Marcus Aurelius, 57. Meditations 8.9, qtd. and tr. Birley, Marcus Aurelius, 57. Ad Marcum Caesarem 4.7, qtd. and tr. Birley, Marcus Aurelius, 90. HA Marcus 6.5; Birley, Marcus Aurelius, 58. Ad Marcum Caesarem 5.1, qtd. and tr. Birley, Marcus Aurelius, 89. Ad Marcum Caesarem 4.8, qtd. and tr. Birley, Marcus Aurelius, 89. Dio 71.36.3; Birley, Marcus Aurelius, 89. HA Pius 10.2, qtd. and tr. Birley, Marcus Aurelius, 91. HA Marcus 2.4; Birley, Marcus Aurelius, 62. Alan Cameron, review of Anthony Birley's Marcus Aurelius, Classical Review 17:3 (1967): 347. HA Marcus 3.6; Birley, Marcus Aurelius, 62. Vita Sophistae 2.1.14; Birley, Marcus Aurelius, 63–64. Aulus Gellius, Noctes Atticae 9.2.1–7; Birley, Marcus Aurelius, 64–65. Aulus Gellius, Noctes Atticae 19.12, qtd. and tr. Birley, Marcus Aurelius, 65. Birley, Marcus Aurelius, 67–68, citing E. Champlin, Fronto and Antonine Rome (1980), esp. chs. 3 and 4. Ad Marcum Caesarem 4.6 (= Haines 1.80ff), qtd. and tr. Birley, Marcus Aurelius, 76. Ad Marcum Caesarem 4.6 (= Haines 1.80ff); Birley, Marcus Aurelius, 76–77. Ad Marcum Caesarem 3.10–11 (= Haines 1.50ff), qtd. and tr. Birley, Marcus Aurelius, 73. Champlin, "Chronology of Fronto", 138. Ad Marcum Caesarem 5.74 ( =Haines 2.52ff), qtd. and tr. Birley, Marcus Aurelius, 73. Birley, Marcus Aurelius, 77. On the date, see Champlin, "Chronology of Fronto", 142, who (with Bowersock, Greek Sophists in the Roman Empire (1964), 93ff) argues for a date in the 150s; Birley, Marcus Aurelius, 78–79, 273 n.17 (with Ameling, Herodes Atticus (1983), 1.61ff, 2.30ff) argues for 140. Ad Marcum Caesarem 3.2 (= Haines 1.58ff), qtd. and tr. Birley, Marcus Aurelius, 77–78. Ad Marcum Caesarem 3.3 (= Haines 1.62ff); Birley, Marcus Aurelius, 78. Ad Marcum Caesarem 3.3 (= Haines 1.62ff), qtd. and tr. Birley, Marcus Aurelius, 79. Ad Marcum Caesarem 4.13 (= Haines 1.214ff), qtd. and tr. Birley, Marcus Aurelius, 93. Ad Marcum Caesarem 4.3.1 (= Haines 1.2ff); Birley, Marcus Aurelius, 94. HA Marcus 3.5–8, qtd. and tr. Birley, Marcus Aurelius, 94. Ad Marcum Caesarem 4.3, qtd. and tr. Birley, Marcus Aurelius, 69. De Eloquentia 4.5 (= Haines 2.74), qtd. and tr. Birley, Marcus Aurelius, 95. Alan Cameron, in his review of Birley's biography (The Classical Review 17:3 (1967): 347), suggests a reference to chapter 11 of Arthur Darby Nock's Conversion (Oxford: Oxford University Press, 1933, rept. 1961): "Conversion to Philosophy". Birley, Marcus Aurelius, 94, 105. Birley, Marcus Aurelius, 95; Champlin, Fronto, 120. Ad Antoninum Imperator 1.2.2 (= Haines 2.36), qtd. and tr. Birley, Marcus Aurelius, 95. Birley, Marcus Aurelius, 94–95, 101. Meditations 1.7, qtd. and tr. Birley, Marcus Aurelius, 94–95. Ad Marcum Caesarem 4.11 (= Haines 1.202ff), qtd. and tr. Birley, Marcus Aurelius, 105. Birley, Marcus Aurelius, 247 F.1. Meditations 9.40, qtd. and tr. Birley, Marcus Aurelius, 207. Meditations 10.34, tr. Farquharson, 78, 224. Inscriptiones Graecae ad Res Romanas pertinentes 4.1399, qtd. and tr. Birley, Marcus Aurelius, 114. HA Verus 2.9–11; 3.4–7; Birley, Marcus Aurelius, 108. HA Verus 2.9–11; 3.4–7; Barnes, 68; Birley, Marcus Aurelius, 108. Barnes, 68, citing J. Vogt, Die Alexandrinischen Miinzen (1924), I, III; 2, 62ff. HA Pius 12.4–8; Birley, Marcus Aurelius, 114. Dio 71.33.4–5; Birley, Marcus Aurelius, 114. HA Marcus 7.5, qtd. and tr. Birley, Marcus Aurelius, 116. Birley, Marcus Aurelius, 116. Birley takes the phrase horror imperii from HA Pert. 13.1 and 15.8. Birley, "Hadrian to the Antonines", 156. HA Verus 3.8; Birley, Marcus Aurelius, 116; "Hadrian to the Antonines", 156. HA Verus 4.1; Marcus 7.5; Birley, Marcus Aurelius, 116. HA Verus 4.2, tr. David Magie, cited in Birley, Marcus Aurelius, 117, 278 n.4. HA Marcus 7.9; Verus 4.3; Birley, Marcus Aurelius, 117–18. HA Marcus 7.9; Verus 4.3; Birley, Marcus Aurelius, 117–18. "twice the size": Richard Duncan-Jones, Structure and Scale in the Roman Economy (Cambridge: Cambridge University Press, 1990), 109. HA Marcus 7.10, tr. David Magie, cited in Birley, Marcus Aurelius, 118, 278 n.6. HA Marcus 7.10–11; Birley, Marcus Aurelius, 118. HA Pius 12.8; Birley, Marcus Aurelius, 118–19. HA Marcus 7.4; Birley, Marcus Aurelius, 119. HA Comm. 1.3; Birley, Marcus Aurelius, 119. HA Comm. 1.2; Birley, Marcus Aurelius, 119. HA Comm. 1.4, 10.2; Birley, Marcus Aurelius, 119. Birley, Marcus Aurelius, 119, citing H. Mattingly, Coins of the Roman Empire in the British Museum IV: Antoninus Pius to Commodus (London, 1940), Marcus Aurelius and Lucius Verus, nos. 155ff. ; 949ff. HA Marcus 7.7; Birley, Marcus Aurelius, 118. Birley, Marcus Aurelius, 118, citing Werner Eck, Die Organisation Italiens (1979), 146ff. HA Marcus 8.1, qtd. and tr. Birley, Marcus Aurelius, 119; "Hadrian to the Antonines", 157. Birley, Marcus Aurelius, 122–23, citing H.G. Pfalum, Les carrières procuratoriennes équestres sous le Haut-Empire romain I–III (Paris, 1960–61); Supplément (Paris, 1982), nos. 142; 156; Eric Birley, Roman Britain and the Roman Army (1953), 142ff., 151ff. Birley, Marcus Aurelius, 123, citing H.G. Pfalum, Les carrières procuratoriennes équestres sous le Haut-Empire romain I–III (Paris, 1960–61); Supplément (Paris, 1982), no. 141. HA Marcus 8.8; Birley, Marcus Aurelius, 123, citing W. Eck, Die Satthalter der germ. Provinzen (1985), 65ff. Birley, Marcus Aurelius, 120, citing Ad Verum Imperator 1.3.2 (= Haines 1.298ff). Ad Antoninum Imperator 4.2.3 (= Haines 1.302ff), qtd. and tr. Birley, Marcus Aurelius, 119. Birley, Marcus Aurelius, 120, citing Ad Verum Imperator 1.1 (= Haines 1.305). Ad Antoninum Imperator 4.1 (= Haines 1.300ff), qtd. and tr. Birley, Marcus Aurelius, 120. HA Marcus 8.3–4; Birley, Marcus Aurelius, 120. Birley, Marcus Aurelius, 120, citing H. Mattingly, Coins of the Roman Empire in the British Museum IV: Antoninus Pius to Commodus (London, 1940), Marcus Aurelius and Lucius Verus, nos. 841; 845. HA Marcus 8.4–5; Birley, Marcus Aurelius, 120. HA Marcus 11.3, cited in Birley, Marcus Aurelius, 278 n.16. Ad Antoninum Imperator 1.2.2 (= Haines 2.35), qtd. and tr. Birley, Marcus Aurelius, 128. De eloquentia 1.12 (= Haines 2.63–65), qtd. and tr. Birley, Marcus Aurelius, 128. Ad Antoninum Imperator 1.2.2 (= Haines 2.35); Birley, Marcus Aurelius, 127–28. Ad Antoninum Imperator 1.2.4 (= Haines 2.41–43), tr. Haines; Birley, Marcus Aurelius, 128. HA Pius 12.7; Birley, Marcus Aurelius, 114, 121. Event: HA Marcus 8.6; Birley, Marcus Aurelius, 121. Date: Jaap-Jan Flinterman, "The Date of Lucian's Visit to Abonuteichos," Zeitschrift für Papyrologie und Epigraphik 119 (1997): 281. HA Marcus 8.6; Birley, Marcus Aurelius, 121. Lucian, Alexander 27; Birley, Marcus Aurelius, 121. Lucian, Alexander 27; Birley, Marcus Aurelius, 121–22. On Alexander, see: Robin Lane Fox, Pagans and Christians (Harmondsworth: Penguin, 1986), 241–50. Birley, Marcus Aurelius, 278 n.19. Dio 71.2.1; Lucian, Historia Quomodo Conscribenda 21, 24, 25; Birley, Marcus Aurelius, 121–22. HA Marcus 8.7; Birley, Marcus Aurelius, 122. HA Pius 7.11; Marcus 7.2; Birley, Marcus Aurelius, 103–4, 122. HA Marcus 8.6; Birley, Marcus Aurelius, 123. Corpus Inscriptionum Latinarum 8.7050– 51; Birley, Marcus Aurelius, 123. Incriptiones Latinae Selectae 1097– 98; Birley, Marcus Aurelius, 123. Incriptiones Latinae Selectae 1091; Birley, Marcus Aurelius, 123. Incriptiones Latinae Selectae 2311; Birley, Marcus Aurelius, 123. HA Marcus 12.13; Birley, Marcus Aurelius, 123. L'Année Épigraphique 1972.657; Birley, Marcus Aurelius, 125. HA Verus 9.2; Birley, Marcus Aurelius, 125. De Feriis Alsiensibus 1 (= Haines 2.3); Birley, Marcus Aurelius, 126. De Feriis Alsiensibus 3.1 (= Haines 2.5), qtd. and tr. Birley, Marcus Aurelius, 126. De Feriis Alsiensibus 3.4 (= Haines 2.9); Birley, Marcus Aurelius, 126–27. De Feriis Alsiensibus 3.6–12 (= Haines 2.11–19); Birley, Marcus Aurelius, 126–27. De Feriis Alsiensibus 4, tr. Haines 2.19; Birley, Marcus Aurelius, 127. De Feriis Alsiensibus 4 (= Haines 2.19), qtd. and tr. Birley, Marcus Aurelius, 127. De bello Parthico 10 (= Haines 2.31), qtd. and tr. Birley, Marcus Aurelius, 127. De bello Parthico 1–2 (= Haines 2.21–23). De bello Parthico 1 (= Haines 2.21), qtd. and tr. Birley, Marcus Aurelius, 127. Ad Verum Imperator 2.1.19 (= Haines 2.149); Birley, Marcus Aurelius, 129. Dio 71.1.3; Birley, Marcus Aurelius, 123. HA Verus 5.8; Birley, Marcus Aurelius, 123, 125. HA Marcus 8.9, tr. Magie; Birley, Marcus Aurelius, 123–26. On Lucius' voyage, see: HA Verus 6.7–9; HA Marcus 8.10–11; Birley, Marcus Aurelius, 125–26. HA Verus 4.4; Birley, Marcus Aurelius, 129. HA Verus 4.6, tr. Magie; cf. 5.7; Birley, Marcus Aurelius, 129. HA Verus 8.7, 8.10–11; Fronto, Principae Historia 17 (= Haines 2.217); Birley, Marcus Aurelius, 129. HA Verus 9.2; Corpus Inscriptionum Latinarum 3.199; Birley, Marcus Aurelius, 130–31. HA Verus 7.7; Marcus 9.4; Barnes, 72; Birley, "Hadrian to the Antonines", 163; cf. also Barnes, "Legislation Against the Christians", Journal of Roman Studies 58:1–2 (1968), 39; "Some Persons in the Historia Augusta", Phoenix 26:2 (1972), 142, citing the Vita Abercii 44ff. HA Verus 7.10; Lucian, Imagines 3; Birley, Marcus Aurelius, 131. Cf. Lucian, Imagines, Pro Imaginibus, passim. Birley, Marcus Aurelius, 131; "Hadrian to the Antonines", 163. HA Verus 7.7; Marcus 9.4; Birley, Marcus Aurelius, 131. Birley, Marcus Aurelius, 131, citing Anné Épigraphique 1958.15. HA Verus 7.7; Birley, Marcus Aurelius, 131. HA Marcus 9.4; Birley, Marcus Aurelius, 131. HA Marcus 9.5–6; Birley, Marcus Aurelius, 131. HA Marcus 9.1; Birley, "Hadrian to the Antonines", 162. HA Marcus 9.1; HA Verus 7.1–2; Ad Verrum Imperator 2.3 (= Haines 2.133); Birley, Marcus Aurelius, 129; "Hadrian to the Antonines", 162. Birley, Marcus Aurelius, 129; "Hadrian to the Antonines", 162, citing H. Mattingly, Coins of the Roman Empire in the British Museum IV: Antoninus Pius to Commodus (London, 1940), Marcus Aurelius and Lucius Verus, nos. 233ff. Dio 71.3.1; Birley, Marcus Aurelius, 131; "Hadrian to the Antonines", 162; Millar, Near East, 113. Birley, Marcus Aurelius, 280 n. 42; "Hadrian to the Antonines", 162. Birley, Marcus Aurelius, 131; "Hadrian to the Antonines", 162, citing H. Mattingly, Coins of the Roman Empire in the British Museum IV: Antoninus Pius to Commodus (London, 1940), Marcus Aurelius and Lucius Verus, nos. 261ff. ; 300 ff. Birley, Marcus Aurelius, 130; "Hadrian to the Antonines", 162. Fronto, Ad Verum Imperator 2.1.3 (= Haines 2.133); Astarita, 41; Birley, Marcus Aurelius, 130; "Hadrian to the Antonines", 162. Inscriptiones Latinae Selectae 1098; Birley, Marcus Aurelius, 130. Lucian, Historia Quomodo Conscribenda 15, 19; Birley, "Hadrian to the Antonines", 163. Lucian, Historia Quomodo Conscribenda 20, 28; Birley, "Hadrian to the Antonines", 163, citing Syme, Roman Papers, 5.689ff. HA Verus 8.3–4; Birley, "Hadrian to the Antonines", 163. Birley cites R.H. McDowell, Coins from Seleucia on the Tigris (Ann Arbor: University of Michigan Press, 1935), 124ff., on the date. Birley, "Hadrian to the Antonines", 164. Birley, "Hadrian to the Antonines", 164, citing H. Mattingly, Coins of the Roman Empire in the British Museum IV: Antoninus Pius to Commodus (London, 1940), Marcus Aurelius and Lucius Verus, nos. 384 ff., 1248 ff., 1271 ff. Birley, "Hadrian to the Antonines", 164, citing P. Kneissl, Die Siegestitulatur der römischen Kaiser. Untersuchungen zu den Siegerbeinamen des 1. und 2. Jahrhunderts (Göttingen, 1969), 99 ff. Birley, "Hadrian to the Antonines", 164, citing H. Mattingly, Coins of the Roman Empire in the British Museum IV: Antoninus Pius to Commodus (London, 1940), Marcus Aurelius and Lucius Verus, nos. 401ff. Birley, "Hadrian to the Antonines", 164, citing Alföldy, Konsulat, 24, 221. Ad Antoninum Imperator 2.1–2 (= Haines 2.94ff. ); Birley, Marcus Aurelius, 132. Fergus Millar, The Emperor in the Roman World, 31 BC – AD 337 (London: Duckworth, 1977), 6 and passim. See also: idem. "Emperors at Work", Journal of Roman Studies 57:1/2 (1967): 9–19. Codex Justinianus 7.2.6, qtd. and tr. Birley, Marcus Aurelius, 133. Digest 31.67.10, qtd. and tr. Birley, Marcus Aurelius, 133. Dio 72.11.3–4; Ad amicos 1.12 (= Haines 2.173); Birley, Marcus Aurelius, 132. Dio 72.11.3–4; Birley, Marcus Aurelius, 132, citing De nepote amisso 2 (= Haines 2.222); Ad Verum Imperator 2.9–10 (= Haines 2.232ff.). Birley, Marcus Aurelius, 133, citing Geza Alföldy, Konsulat und Senatorenstand (1977), Moesia Inferior: 232 f.; Moesia Superior: 234f. ; Pannonia Superior: 236f. ; Dacia: 245f. ; Pannonia Inferior: 251. HA Marcus 1.1, 27.7; Dio 71.1.1; James Francis, Subversive Virtue: Asceticism and Authority in the Second-Century Pagan World (University Park: Pennsylvania State University Press, 1995), 21 n. 1. Francis, 21 n.1, citing Justin, 1 Apologia 1; Athenagoras, Leg. 1; Eusebius, Historia Ecclesiastica 4.26.9–11. Eusebius, Historia Ecclesiastica 4.26.9–11, qtd. and tr. Francis, 21 n. 1. Stertz, 434, citing Themistius, Oratio 6.81; HA Cassius 3.5; Aurelius Victor, De Caesaribus 16.9. Gregory Hays. Introduction to Marcus Aurelius Meditations Weidenfeld and Nicholson London 2003 pp xlviii-xlix. All citations to the Historia Augusta are to individual biographies, and are marked with a "HA". Citations to the works of Fronto are cross-referenced to C.R. Haines' Loeb edition. *Scott, Samuel P., trans. The Code of Justinian, in The Civil Law. 17 vols. 1932. Online at the Constitution Society. Accessed 31 August 2009. *Scott, S.P., trans. The Digest or Pandects in The Civil Law. 17 vols. Cincinnati: Central Trust Company, 1932. Online at the Constitution Society. Accessed 31 August 2009. *Cary, Earnest, trans. Roman History. 9 vols. Loeb ed. London: Heinemann, 1914–27. Online at LacusCurtius. Accessed 26 August 2009. *Banchich, Thomas M., trans. A Booklet About the Style of Life and the Manners of the Imperatores. Canisius College Translated Texts 1. Buffalo, NY: Canisius College, 2009. Online at De Imperatoribus Romanis. Accessed 31 August 2009. *Haines, Charles Reginald, trans. The Correspondence of Marcus Cornelius Fronto. 2 vols. Loeb ed. London: Heinemann, 1920. Online at the Internet Archive: Vol. 1, 2. Accessed 26 August 2009. *Rolfe, J.C., trans. The Attic Nights of Aulus Gellius. 3 vols. Loeb ed. London: Heinemann, 1927–28. Vols. 1 and 2 online at LacusCurtius. Accessed 26 August 2009. Herodian. Ab Excessu Divi Marci (History of the Roman Empire from the Death of Marcus Aurelius). *Echols, Edward C., trans. Herodian of Antioch's History of the Roman Empire. Berkeley and Los Angeles: University of California Press, 1961. Online at Tertullian and Livius. Accessed 14 September 2009. *Scott, S.P., trans. Institutes of Gaius in The Civil Law. 17 vols. Cincinnati: Central Trust Company, 1932. Online at the Constitution Society. Accessed 31 August 2009.
:*Harmon, A.M., trans. The Works of Lucian of Samosata. 9 vols. Loeb ed. London: Heinemann, 1936. Alexander online at Tertullian. Accessed 26 August 2009. *Historia Quomodo Conscribenda (The Way to Write History). :*Fowler, H.W., and H.G., trans. The Works of Lucian of Samosata. 4 vols. Oxford: Clarendon Press, 1905. The Way to Write History, in volume 2, online at Sacred Texts, based on the Gutenberg e-text. Accessed 26 August 2009. *Imagines (Essays in Portraiture [Images]). :*Fowler, H.W., and H.G., trans. The Works of Lucian of Samosata. 4 vols. Oxford: Clarendon Press, 1905. A Portrait Study, in volume 3, online at Sacred Texts, based on the Gutenberg e-text. Accessed 26 August 2009. *Pro Imaginibus (Essays in Portraiture Defended). :*Fowler, H.W., and H.G., trans. The Works of Lucian of Samosata. 4 vols. Oxford: Clarendon Press, 1905. Defence of the 'Portrait-Study', in volume 3, online at Sacred Texts, based on the Gutenberg e-text. Accessed 26 August 2009. *Farquharson, A.S.L., trans. Meditations. New York: Knopf, 1946, rept. 1992. *Jones, W.H.S., and H.A. Omerod, trans. Pausanias' Description of Greece. 4 vols. Loeb ed. London: Heinemann, 1918. Online at Theoi and Perseus at Tufts. Accessed 27 August 2009. *Aiken, Ellen Bradshaw, and Jennifer K. Berenson Maclean, trans. On Heroes. Washington, DC: Harvard University Center for Hellenic Studies, 2007. Online at Harvard University Centre for Hellenic Studies. Accessed 27 August 2009. Quintilian. Institutio Oratoria (Institutes of Oratory). *Butler, H.E., trans. The Orator's Education. 5 vols. Loeb ed. London: Heinemann, 1920–22. Online at LacusCurtius. Accessed 14 September 2009. *Magie, David, trans. Historia Augusta. 3 vols. Loeb ed. London: Heinemann, 1921–32. Online at LacusCurtius. Accessed 26 August 2009. *Birley, Anthony R., trans. Lives of the Later Caesars. London: Penguin, 1976. Astarita, Maria L. Avidio Cassio (in Italian). Rome: Edizione di Storia e Letteratura, 1983. Barnes, Timothy D. "Hadrian and Lucius Verus." Journal of Roman Studies 57:1–2 (1967): 65–79. Champlin, Edward. "The Chronology of Fronto." Journal of Roman Studies 64 (1974): 136–59. Stertz, Stephen A. "Marcus Aurelius as Ideal Emperor in Late-Antique Greek Thought." The Classical World 70:7 (1977): 433–39. Syme, Ronald. "The Ummidii." Historia 17:1 (1968): 72–105.